Tucson has always been a magical place filled with kind people, strong culture and great weather, but did you know it had some of the coolest venues in the country? 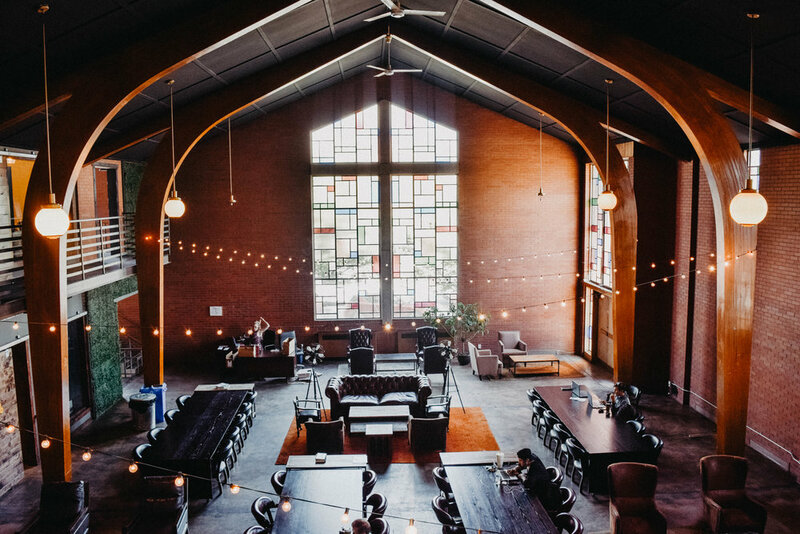 Here is a list of our favorite venues you didn’t know existed! Barrio House began as an automotive garage. In 2012, a local architect re-designed the space to optimize for indoor/outdoor flow and high-function. The shop was converted into the big house you see today, with the mechanic's original home turning into the guest house (available for a nights stay as well)! One of my favorite things about the property are the old growth mesquite trees, which provide a lot of shade, while the flowers, grape vines and other plants attract a lot of birds. This is the perfect spot for small meetings, conference dine-arounds, team birthday celebrations or holiday events! Want to use this vendor? See more here! Located within the newly developed Mercado District of Menlo Park and the future Mission District, the MSA has the benefit of being located in Tucson’s most beautiful new mixed-use transit oriented neighborhoods. The MSA is a unique venue that was built using LEED standards, uses in-season ingredients, and has a unique Tucson vibe within a historical Tucson neighborhood. This is the perfect spot for a team outing, a client appreciation dinner or post conference get together! Want to learn more about this venue? See more here! Retro meets contemporary at this 1960’s mid-century modern art hotel. From the fully restored pool & cedar-lined sauna to the A-shaped entrance & exposed posts & beams, it’s the best of both worlds. Tucson is their heart and they will share that with you when you are there. The lobby is adorned with pieces created by Arizona artists, the beer we serve was brewed just down the street, the wine they pour comes from AZ wine country and the coffee they brew was roasted right here in Tucson. 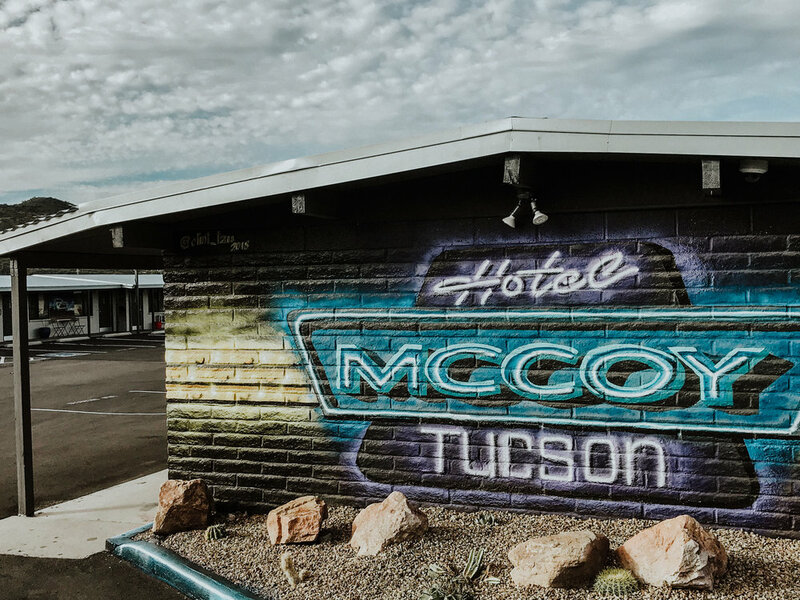 True to its roots, Hotel McCoy emphasizes function & affordability – offering fellow wanderers local style & high-end amenities at low rates. This venue is perfect for team meetings, social outings or small conferences! Want to use this venue? See more here! In February 2006, an archaeological excavation was performed at the Tucson Presidio San Agustin site in the heart of downtown Tucson. The excavation revealed an Archaic era pit-house, the foundation of the corner of the original Presidio and a number of objects ranging from Archaic pot sherds to Territorial period dishes, bottles and tools. In more recent years, a construction project re-built the Presidio, honoring its past elements, including a 20 foot tall adobe tower (torreon) and high adobe walls.. The reconstruction incorporated an original adobe house from the Territorial period, the Jacomé-Siquieros family home, that sits on Court St. The reconstruction features only a small corner of the original Presidio. It includes a small enclosure, a store house, adobe brick piles and a Territorial plaza with an original heritage plants. To provide a view into the remainder of what the 11-acre presidio would have looked like a large mural was painted by artist Bill Singleton on the south wall (neat)! This venue is perfect for the historically inclined and those wanting to honor Tucson’s culture through events! Want to use this venue? See more info here! The standard beer and wine options are out, craft foam art cocktails are in. Cocktails are traditionally thought of as an American innovation, but they were actually at least partly inspired by British punches—big bowls of spirits mixed with fruit juice, spices, and other flavors, consumed in punch houses in the 18th century. And as the decades have progressed, so have the cocktail trends. The age of providing lackluster drink options at events has faded away and a new era of cocktail concocting has emerged. If you are in the throws of planning your next company holiday party and are feeling underwhelmed by the current options, there is a new wave of cocktail preferences for you! And yes, face-in-the-foam beverages are one of them. Always wondering which drink is yours? Now you will definitively know, because your face will be painted among the foam in the most graceful and artistic way. 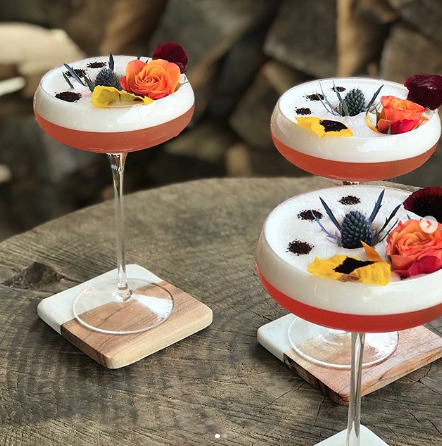 Couple of Bartenders in Phoenix, Arizona and SipMiUSA both provide uniquely-you cocktails for an original signature cocktail idea — the perfect alternative to a standard adult beverage! Want to use this vendor? Build your event here! Since the early 1990’s, Banksy has eluded the people of the world, never revealing his identity. 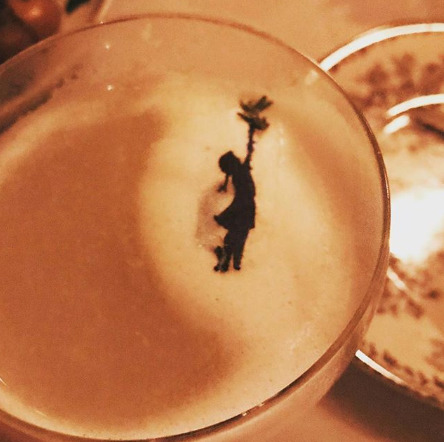 Despite his hidden persona, cocktail artists around the world are inspired by his art and have now translated it into the foam. This gem by The Loyal in New York City, is the perfect homage to the mysterious artist and we are sure it is delicious to boot! Want to use this vendor? Book your event here! You’ve seen the USBs branded with company logos, but have you seen a cocktail branded with a logo? Much more useful in the age of Google Drive we think. Our friends at Couple of Bartenders in Phoenix, Arizona and Aperitif Cocktails in Nashville whipped this up in a jiffy and made it look flawless! Sometimes drawings in the foam aren’t the only way to make a drink look beautifully put together. Good old fashion fruit and floral will do the trick in this scenario. 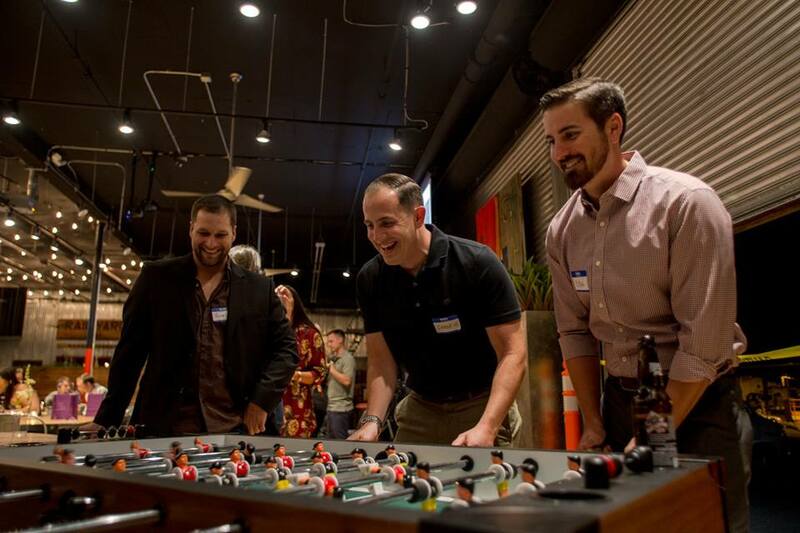 6 Salt Lake Venues to Host the Perfect Company Event That Gives Back! Why is the theme always so cheesy and awkward? It is 2018, people! That means it is time to shake things up. We've put together a list of unique and sure to be experiential event spaces that will knock your socks off -- and hopefully make the interactions with your coworkers less awkward. Originally built in 1893 as a Christian Church, the building that is now Church & State has been a big part of Salt Lake City for 125 years. As a church, this was where people would come for help and guidance, and when the building was renovated, the new owners wanted to keep that in mind. Today, Church & State serves as a place for entrepreneurs to seek guidance and is a wonderful venue for all types of events to boot! 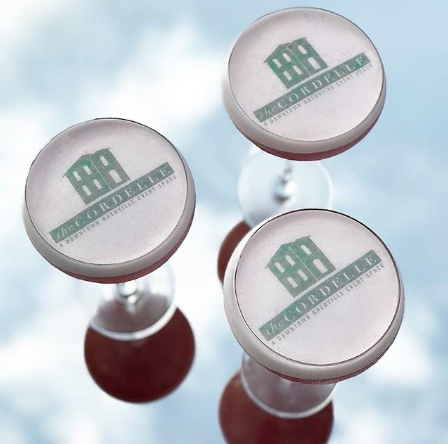 This is the perfect venue for company holiday parties, cocktail hours, or small conferences! Want to use this venue? Contact one of our party planning experts! The Ladies Literary Club (LLC) in the Central City neighborhood has been cultivating education, culture, and knowledge since 1877, before women had the right to attend universities. The birth of the LLC was a major push in the equality for women in Salt Lake City, and across the country, as it was the first chapter founded west of the Mississippi. Kind of a big deal. As the club grew, the ladies ambitiously aspired to own a building. They banded together, and by 1898, they’d raised enough money to purchase their first clubhouse, located on 300 E, below South Temple. It was the first women’s clubhouse in the west, and they thrived in that location for the next 15 years. Then, in 1913, they made another bold move when they commissioned and built a more extravagant clubhouse, which still stands today at 850 E South Temple. It’s a grand example of Prairie-Style architecture, touting clean, horizontal lines, a grand auditorium, wood inlays, and beautiful, leaded glass. The clubhouse was designed by the local architecture firm of Ware and Treganza, who also designed several other Salt Lake City landmarks, including the Walker Mansion and the Commercial Club on Exchange Place. The cost to build was $32,507.94. Over the last 100 years, the building has housed more than the LLC headquarters; countless charitable and educational efforts have run through, as well. The ‘Ladies’ helped create the first free public library, establish the first free kindergarten, and fund scholarships at the University of Utah. In 1977, the building was listed on the National Register of Historic Places. It was also made part of the South Temple Historic District by Salt Lake City’s Historic Landmarks Commission. All told, 136 years of perseverance within the walls of 850 E South Temple have seen major cultural shift and forward progression for our city. Equality is an ongoing battle, but change has come, in many forms. Recent years saw club memberships decrease, and maintaining the building became a struggle. In response, the LLC decided to seek out a non-profit partner to help sustain themselves and take ownership of the building. A tough decision, no doubt, but this classy gang marched forward. On Tuesday, Februrary 5, 2013, we watched as the deed was gifted to their new, non-profit partner, The Utah Heritage Foundation. We can’t think of a better outfit to take care of this beautiful, historically significant building. 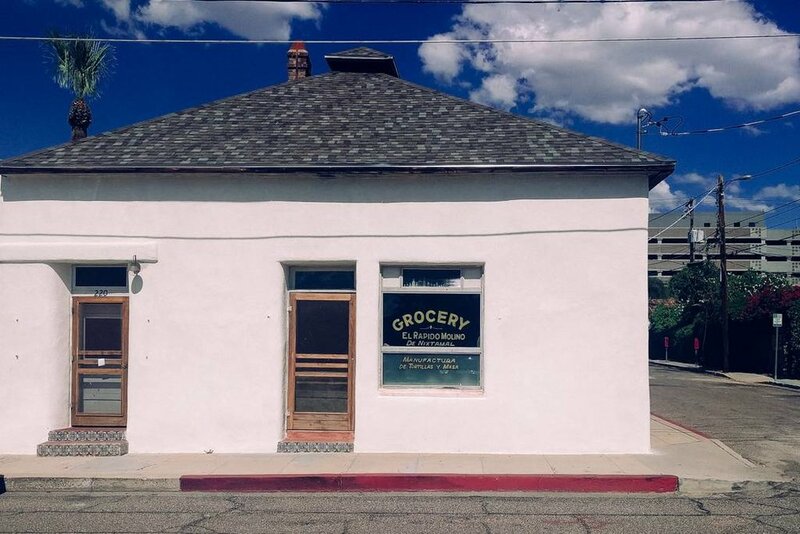 Kirk Huffaker and crew will no doubt do their part in reconnecting the space with its community and helping the Ladies Literary Club continue their incredible legacy. This venue is perfect for cocktail parties, conference presentations, a pop up concert series, or a dance party spot! Want to use this venue? Contact one of our party planning experts here! Ember is unlike any other space in Salt Lake City. With 5,700 sq. ft. and over 100 years of character, this urban space incorporates bright white walls, exposed brick and raw wood beams. Vaulted ceilings, a spiral staircase and custom built-in bar with a butcher block top are sure to set the stage for a memorable occasion. This space is perfect for a cocktail party, sit down dinner, interactive art experience, or anything else we can dream up with you! A small, local, and family-owned, Finca is focused on bringing great and unique food to Salt Lake City, Utah. 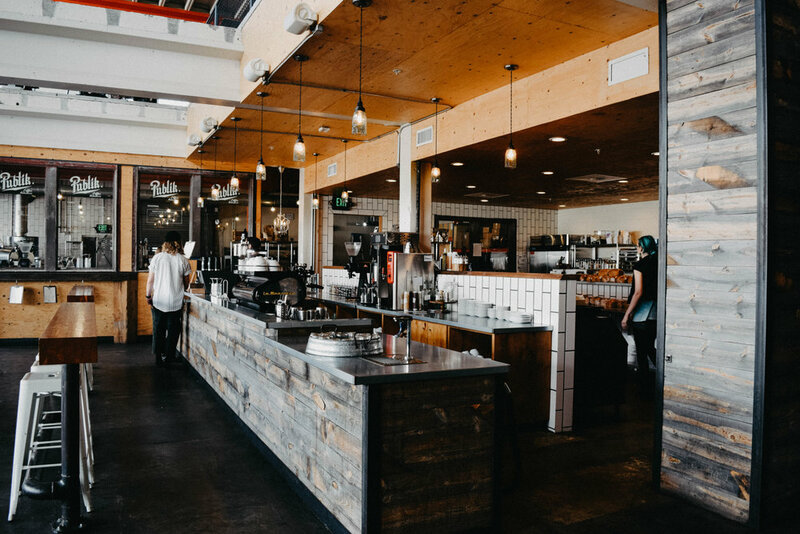 No outside investors or corporate ownership here, but they do buy high-quality, sustainable ingredients largely from other local farms and businesses and have a fantastic front and back of house team that makes them shine. The ambiance transports you into another world, feeling as if you have stepped into a local european hot spot. Oh, and the food and beverages are other worldly too. This is the perfect venue for a small team get-together or a meeting space that is outside of the usual board room. Either way, Finca is bound to make any business dealings more fun. 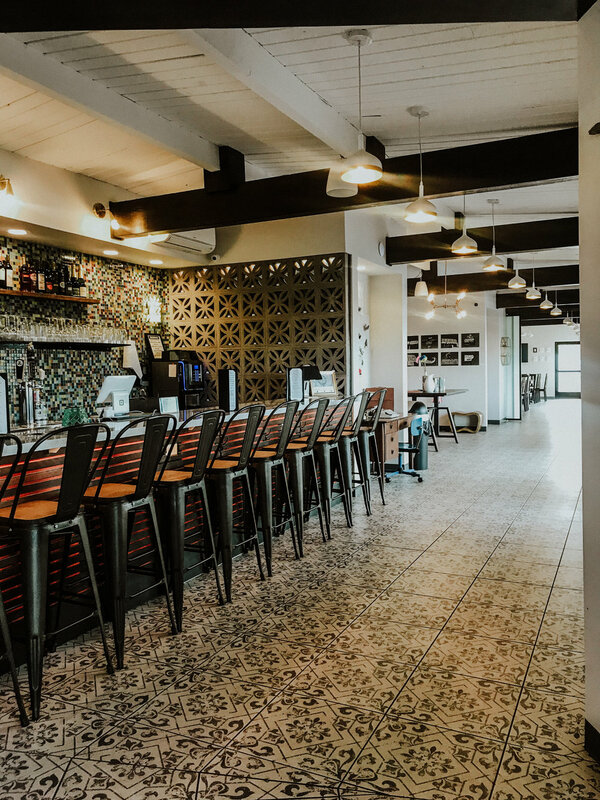 Finding the perfect Tucson venue for a company celebration or event can be painful, but it doesn’t have to be. 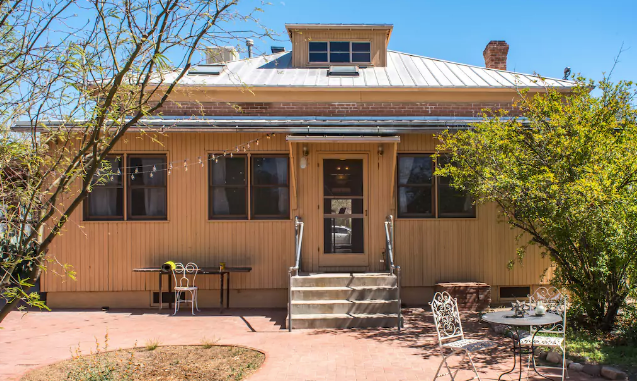 Luckily, you have us and we’re here to tell you about eight of our favorite Tucson venues and event spaces — but there’s definitely more and you can find them by browsing our website. This 19th-century boarding house is the coziest late-1800s home we’ve ever been in. Making it perfect for intimate evenings with friends. It’s just three blocks from downtown so you could still hit the town if you wanted. 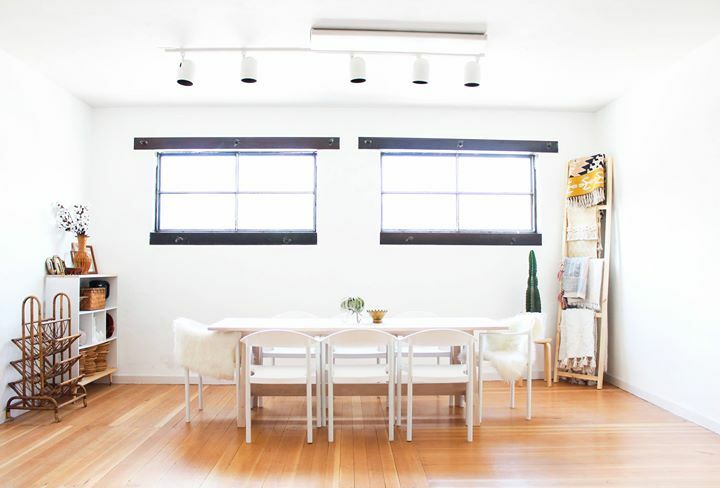 Besides being home to the already-cool pop-up events, the Creative Tribe Workshop’s minimal interior makes this venue incredibly versatile. 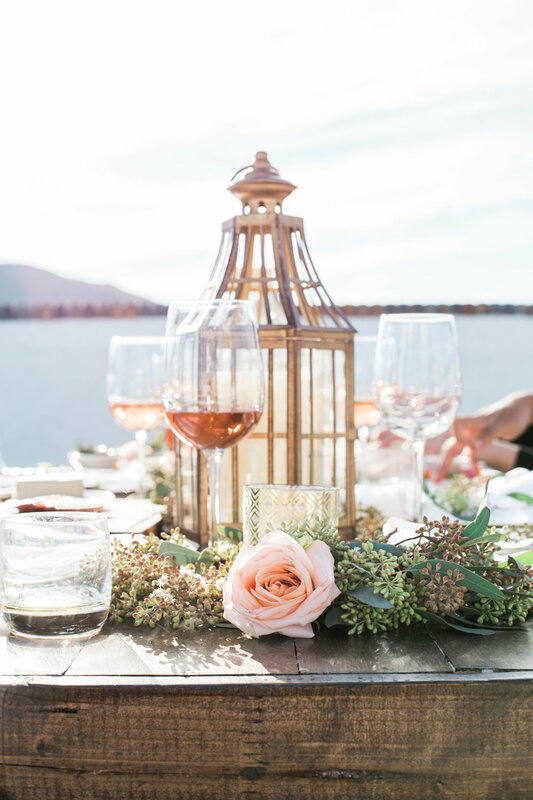 Your friend’s bridal shower would look great here. Oh, and shares a sidewalk with Owl’s Club. After-party cocktails, anyone? It may not smell like freshly baked bread but the converted-from-bakery-to-residence building downtown does make the best venue for large parties with its comfortable patio and separate bedrooms. And its pink exterior and urban interior is going to look great on your Instagram. 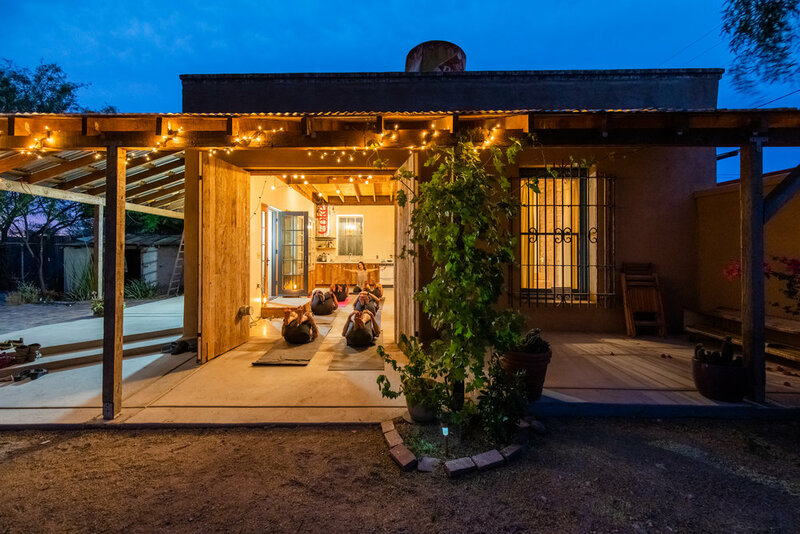 This historic adobe home in downtown Tucson is super charming with its vintage decor and run-down aesthetic. Just imagine your next dinner party there: Everyone would be sipping on old fashioneds gathered around the piano. You can smell the creosote and hear the birds chirping at the San Pedro Chapel. 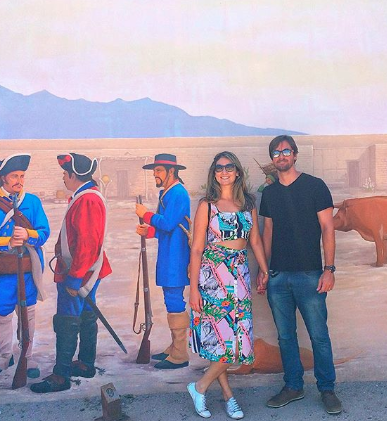 This place is perfect for the desert dweller, the Tucson-lover and/or the history buff. And the acoustics are perfect for surprise (or planned) performances. There’s no reason to run out of things to talk about at Tumacacori National Park, you’ll be too busy talking about how beautiful it is. This preserved Spanish mission community would make the best backdrop for your next dinner party. Twinkly lights, small colorful buildings, and an intimate setting are waiting for you at the Kingan Gardens. It’s perfect for close friends, good food, and stargazing. Rail Yard means business. It’s so industrial chic with its exposed brick and copper tones. Want to know more about partying with a purpose with Celebrate for Good? Contact one of our party planning experts here.